Dorothy A. 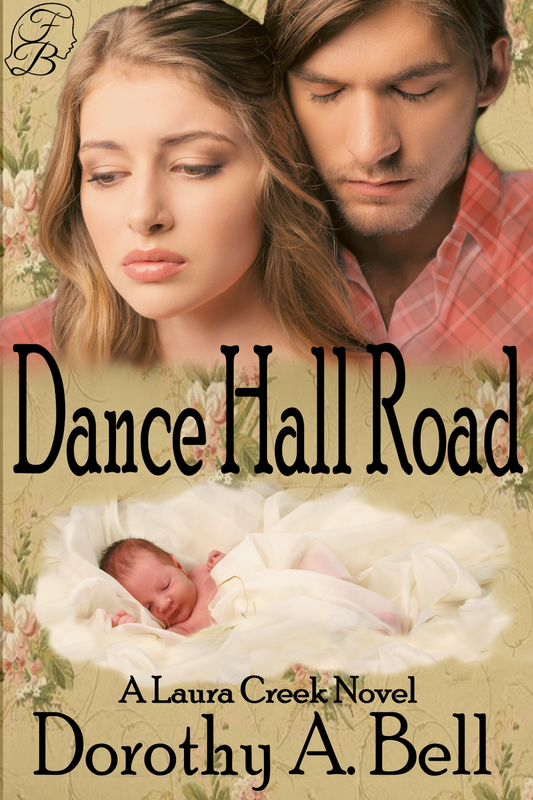 Bell author of Dance Hall Road answers five easy questions to help readers get to know her better. Dorothy A. Bell, author of western and contemporary romances with Freya’s Bower Publishing, grew up in southern Iowa, moved to Oregon’s Willamette Valley at the age of eleven. She married a boy that she first met in the sixth grade, and they’ve been married for fifty years. While her two children were in school, she started to write Regency Romances to entertain herself. As a facilitator of a writer’s critique group for several years, she learned a lot from fellow writers. She took writing courses at a community college. But Dorothy says, she’s learned the most by submitting her work to publishers, editors and agents, and getting feedback. Laid low for nearly twenty-five years with arthritis, forced to use a battery-powered cart, Dorothy took up aquatic exercise and became an instructor. She retired after eighteen years of instructing, and now goes to the pool to do her own thing. After two surgeries to replace her knees, she went to work on herself and lost eighty-five pounds. With renewed energy, she put more into her writing, submitted her work, rewrote and kept submitting, which she continues to do. Dorothy and her husband live in Central Oregon with their two West Highland White terriers Corky and Buddy, a long-haired dachshund named Hector (Heck for short) and Rocky, a big, angora tuxedo cat. She enjoys gardening and landscaping. We’ve switched to turkey burger. I make a stuffed turkey burger that is to die for. Finely chop some of the dried and fried onions you get in a can, you know the ones that you crumble and put on top of green bean casseroles. Spread the finely chopped dried onions out on a plate, enough to make a coating for the patty. Flatten out a patty of turkey burger on top of the crumbled onions pressing the crumbles into the burger. In a fry pan sauté half a white onion and asparaguses tips, season to taste. Place the cooked vegetables on the turkey patty. If you have leftover vegies save them and serve over the top of the cooked roll. Roll up the patty, pinch it together. Make a seam on top and place seam side down in the fry pan, season and cook well done. When done, place the roll on a serving plate and pour your favorite sweet and sour or thai sauce over the roll. Serve with rice. Yummmm. 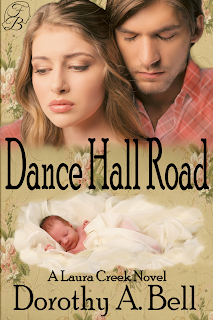 Buck Hoyt from my book Dance Hall Road. He’s a big softie, all gruff and crusty, but he cleans up good. He’s funny and he talks to himself. I love Buck. I love to read romance authors who complicate their stories of passion with obstacles, plus a smattering of danger and intrigue. I read about the geography, the history and the commerce. Historical societies provide a wealth of information. And of course, if I can, I drive around, explore the area, talk to people.